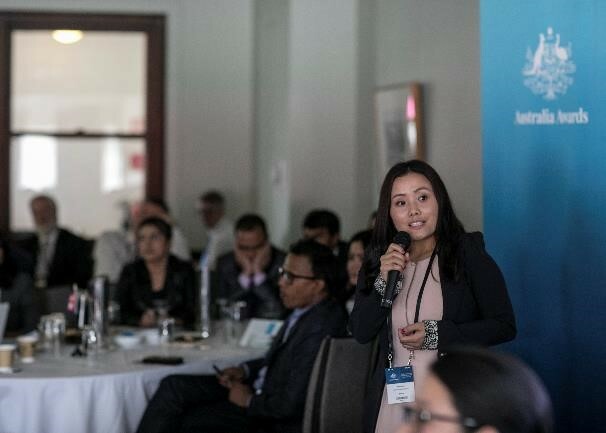 Selected Australia Awards scholars from South and West Asia came together in Canberra for a two-day Scholars Forum in October 2018 to support institutional and people-to-people links between Australia and the region – a first for Australia Awards. The inaugural Australia Awards Scholars Forum for South and West Asia attracted over 100 participants including 58 Australia Awards scholars from South and West Asia, alumni, senior diplomats from the region, representatives from Australia’s education institutions, and the Department of Foreign Affairs and Trade (DFAT). The theme for the Forum was LEARN | LINK | LEAD to reflect on the Australia Awards experience. Among scholars from South and West Asia at the Scholars Forum was Wangmo from Bhutan. These are some of her reflections of the Scholars Forum and little about her Australia Awards experience to date. Wangmo is undertaking a Masters in Engineering Science at the University of Southern Queensland. Prior to commencing studies in Australia, she was a civil engineer at a Hydro-power Company in Bhutan. 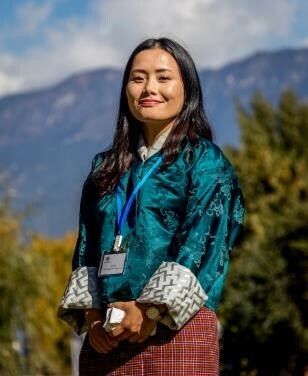 She has chosen to specialise in Power Engineering, which she believes will help her progress further in her career while contributing effectively towards strengthening Bhutan’s power sector. See snapshots of the Australia Awards Scholars Forum 2018 on Flickr and find out more on the Scholars Forum.